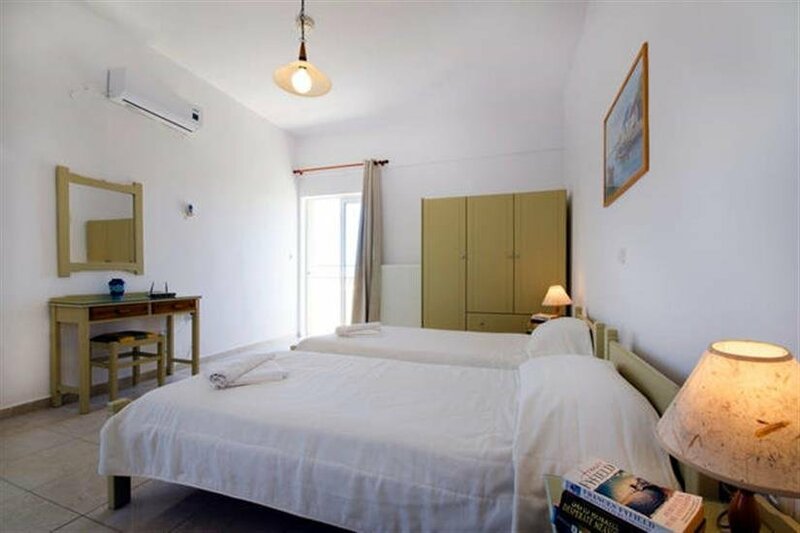 This 2 bedroom apartment with swimming pool is located in Agia Marina and sleeps 5 people. It has WiFi, parking nearby and air conditioning. Fully-equipped Apartment with lagre sitting room and lots of balconies, fully-equipped kitchen and en-suite bedroom. Outside, 2 sun terrace with garden views. All bedrooms have air-conditioning, Fully equipped kitchen. The nearest beach is Agia-Marina, Its long sandy beaches and crystal clear waters makes this an ideal holiday location for young and old alike. Despina Villa houses (3) three two-bedroom well-appointed apartments, The 3 apartments make up the whole property and share one pool between them. One apartment is on the ground floor and 2 apartments on the 1st floor. All bedrooms have air-conditioning, Fully equipped kitchen. The nearest beach is Agia-Marina, Its long sandy beaches and crystal clear waters makes this an ideal holiday location for young and old alike. Despina Villa is in Agia Marina village (not in the village Center ) and not far from Platanias busier canter. Both have cafes, bars, restaurants and supermarkets. Platanias has a choice of bars and restaurants and clubs. Agia Marina and Platanias are walkable, Agia Marina village is about 9-13 minutes walk and Platanias is about 10-16 minutes walk. Also Chania town is 9km (about 10-15 minutes by bus) from Despina Villa, Chania is a very beautiful town especially the old Venetian part of the town with night clubs, bars, restaurants, and shops. Beach is 10 min walk.